Because of long wait times for veterans, their mental health care needs are not met. Wisconsin State Capitol. Photo by Rosina Peixoto. There is not one of us that does not want to do something to serve veterans like they have served our country. We are seeking action on a new Legislative proposal to assist veterans and their families when they need help. Seeking mental health treatment is not easy for anyone, but we know it is exceptionally difficult for veterans. When veterans seek help for themselves and their families we need to be ready to serve them. Our proposal to grow the mission of the Needy Veterans Program beyond current limits to try to meet urgent mental health needs of veterans is a step in right direction for Wisconsin and one we should take. Progress has been made for wait times and mental health needs in the VA care system, but the General Accounting Office (GAO) said recently that the wait for mental health appointments was still 26 days on average. With Senate Bill 370, local County Veterans Service Officers (CVSO’s) could provide vouchers to veterans and their families to meet mental health needs in the gap before coverage with the VA. Allowing CVSO’s to help veterans right away gives this program the flexibility we need for success. Currently, the Needy Veterans Program spends less than half of what the Legislature has set aside and we continue to shrink the program for lack of use. Just like the other health services covered by the current Needy Veterans Program, this addition would provide a service for veterans specifically where there is a short-term need in the Federal VA system. Let’s spend that money where it was intended to be spent, on veterans. Veterans and their families seeking mental health services could receive vouchers from the WI DVA within 48 hours of the request to cover mental health services. Emergency counseling, marriage counseling, immediate alcohol and drug treatment; flexibility is essential. Through the county service offices, veterans can have help right in their own communities within 48 hours. A veteran can walk in the door of a counseling clinic/medical facility asking for help and knowing that their expenses for treatment will be covered. Current law limits the Needy Veterans Program to those with an income at or below 180% of Federal poverty. The bill allows county service offices, our boots on the ground all over Wisconsin serving veterans, the ability to waive income restrictions so more veterans can be served. Offered as a motion last spring by Democrats on the Joint Committee on Finance, we are hopeful that true to their stated interest, Republicans will help us move this proposal through the Legislature and to the Governor’s desk. Wisconsin should be nimble and fearless as we work in serving our veterans, just like veterans have been for us. Money set aside for veterans should be used by veterans, not lapsed. For more information contact Senator Jon Erpenbach at 608-266-6670 or Representative Gordon Hintz at 608-266-2254. 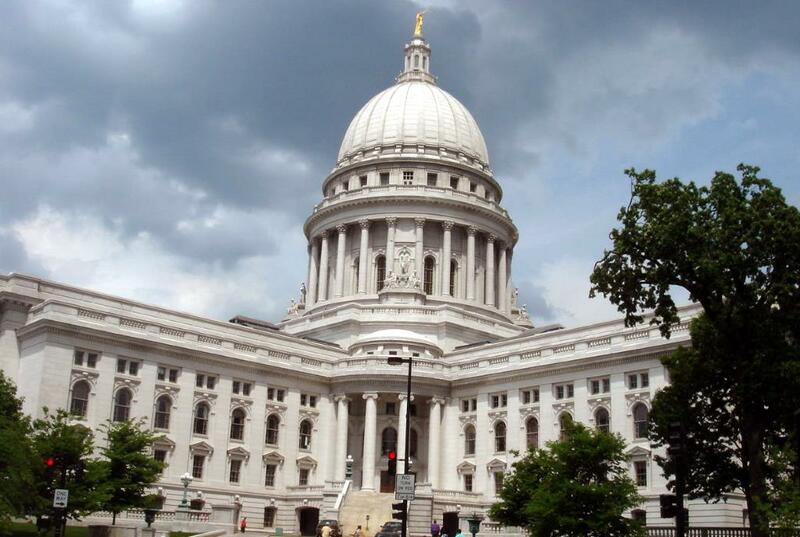 By Jon Erpenbach D-Middleton, represents District 27 in the Wisconsin State Senate, and Gordon Hintz, D-Oshkosh, represents District 54 in the Wisconsin Assembly.